Higher Education providers reviewed by the Quality Assurance Agency for Higher Education (QAA) are required to meet all the Expectations of the Quality Code. The manner in which they do so is their own responsibility; it is important that Institutions respond in the ways that are appropriate for their organisation, internal structures and the range of work-based and placement learning opportunities that they offer. Institutions are also responsible for meeting the requirements of legislation and any other regulatory requirements placed upon them, for example by funding councils or Professional, Statutory and Regulatory bodies (PSRB). Following a long tradition of other ASET activity, this Guide has been written to support these endeavours but is neither prescriptive nor regulatory, merely guidance from experienced practitioners to others in the field to support their work in engaging students in high quality, effective work-based and placement learning as part of their Higher Education experience. The toolkit to accompany the ASET Good Practice Guide for Work based and Placement Learning in Higher Education was launched to delegates at the 2017 ASET Conference and in its enhanced format is now available for download. The world of work can be risky. For some people it results in health problems, injury or death. People entering work for the first time are more vulnerable than others and for many students a placement is their first experience of full-time work. Everyone involved in a student placement has an ethical responsibility to do what they can to reduce the chances of harm to the student and the harm that a student may do to others. HEI staff can influence these things and this document provides practical guidance to help them. It should be noted that, arising from the Health and Safety at Work etc. Act 1974, there is also a legal responsibility, at least on HEIs situated in the UK, to do this. In addition to reducing the risk to students, following this guidance should enable you to demonstrate, in the event of legal action being taken in the UK against the HEI following an adverse effect on a student’s health or safety (or an adverse effect on an employer caused by a student) arising from a student placement, that you have done what can be considered as reasonably practicable to discharge your duty of care. Launched at the 2016 ASET Conference and initially only available in hardcopy, this ASET Good Practice Guide brings a practical approach and specific guidance to those supporting students with disabilities on courses where work based and placement learning opportunities are a planned and integrated part of a student’s programme of study at a Higher Education Provider. This guide will assist practitioners to demonstrate their practice is aligned with the needs of their students and employers. 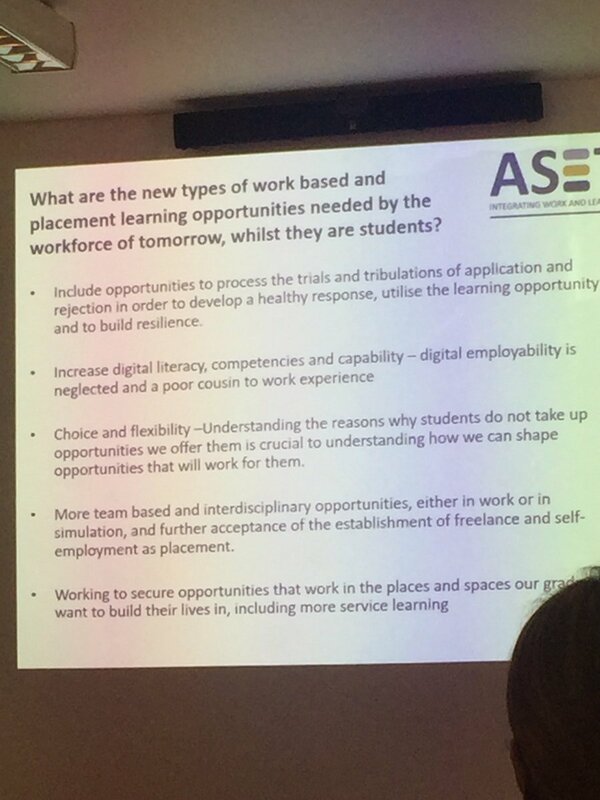 The toolkit to accompany the ASET Good Practice Guide for Supporting Students with Disabilities on Placement was launched to delegates at the Spring 2018 ASET Workshop – SSDP, and is now available for download. The issue of managing placements using IT has been high on the agenda during ASET events for several years. Initially a number of institutions showcased their in-house systems for our members, which was widely appreciated. As it became apparent there was a greater need to consolidate the knowledge of those individuals producing these systems for the benefit of all members, and in response to the perceived need for national guidance in developing IT systems to manage placements, ASET established a trans-institutional working party, bringing together the country’s leading developers of in-house systems, to write the first ASET publication in 2007. This guide remains useful today to aid the design of in-house IT systems to manage any period, location or type of placement. The prompting and record keeping facilities incorporated in such systems also positively promote effective and comprehensive placement management, in line with recommendations in the ASET and QAA Codes of Practice. A professionally printed glossy Report Summary of the ASET funded research project on innovative methods in the assessment of work-based learning.